Driving is a privilege, not a right, in North Carolina. If you are convicted of DWI or other traffic violations, you could have your license revoked or suspended. When you are unable to drive, it can seriously hamper your ability to work, get your kids to school and activities, and take care of your day-to-day business. Fortunately, limited driving privileges (LDP) may be available so that you can drive to certain places during certain times of the day or night. 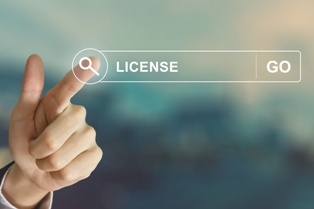 When Is a Person Eligible for a Restricted License? The person’s driver’s license must be revoked. The person must have complied with the applicable revocation period. For a revocation for one year, the compliance period is 90 days. It is one year for a two-year revocation, and two years for a permanent revocation. There is no other revocation of the individual’s license in effect. The person is not eligible for LDP under another law. The person has not held a restricted license for another offense within the last three years. The individual does not have any pending motor vehicle offenses in North Carolina or another state. If the individual is an out-of-state resident, his license has not been revoked by that state. You must file a petition with the court and attend a hearing before you can get a restricted license. This is a district court civil action and must be filed in the county where you reside. The prosecutor’s office would be notified of your petition and would have an opportunity to argue against granting you LDP. However, it would be the judge’s decision as to whether to issue a hardship license. You must pay the filing fee for your petition and the $100 LDP fee. You will also need proof that you have automobile insurance and documentation of your need to drive, such as your employment or school schedule. If the judge grants your petition, he will issue an order granting you the privilege to drive. He could set other conditions that you must comply with in order to receive a restricted license, such as not consuming any alcohol. If granted limited driving privileges, you would need to carry the order with you like a driver’s license. Has your driver’s license been suspended or revoked? Our experienced Charlotte traffic ticket attorneys can evaluate your situation to determine if you are eligible for LDP, explain the process of petitioning the court, and represent you at your hearing. Take advantage of our free initial consultation to learn more about your rights. Call our office or start an online chat to schedule your appointment today.